Summer is here! 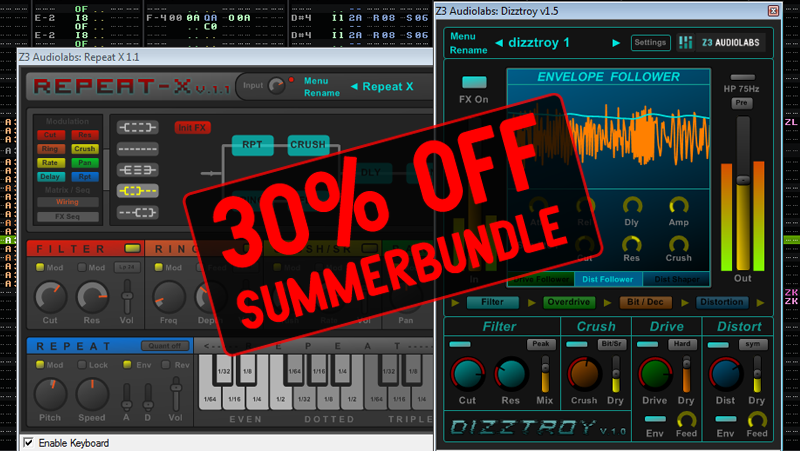 there are 30 degrees outside and you will get a 30% off summerbundle (Repeat X and Dizztroy) till 31. of july! Just write ‘Summerbundle’ in the voucher field and add it to the order to get 30% off (only for Repeat X together with Dizztroy). Enjoy the summer!